Please fill out our Puppy Application if you're interested in a Harewood puppy. 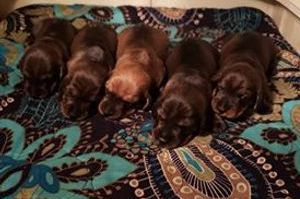 01/12/2019: We welcomed Winston & Katniss' 5 beautiful Standard Wire Dachshund puppies! 3 boys, 2 girls. 2 boys are currently available. 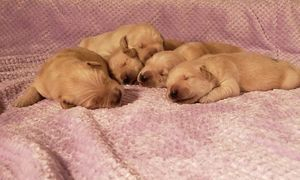 11/18/2018: We welcomed Eros and Ella's 5 healthy Golden Retriever puppies! 4 boys, 1 girl.